It is not necessary for you to make a purchase or payment to enter or win. Completion of a survey will not increase your chance of winning. The prizes are not transferable and must be accepted as awarded. The winner is responsible for all taxes. Each phone number or unique receipt/certificate identifier (where applicable) is restricted to a maximum of 1 survey completion (or mail-in entry) and 1 entry through the Sponsor's GoRecommend application per day. In addition, Only 1 Daily Sweepstakes prize will be awarded per person per 90 days. Smartphone usability rating: 3/5. No mobile page for smartphones. You can still finish Cash Store Customer Experience Survey via smartphone and it may take you more than 5 minutes to finish. You can visit the Cash Store survey official site. Enter the receipt/certificate identifier found on your Invitation (if applicable) then complete the required survey questions. If you want to complete an SMS survey, you need to text your response(s) to the telephone number provided in the Invitation instructions. You can also choose to enter by mail, with no purchase necessary and without completing a survey. You need to hand-write the following sentence "Please enter me in the Empathica Daily Sweepstakes for a chance to win 1 Daily Prize" on a sheet of paper on which you have hand-printed your first name, last name, home telephone number, full address (no PO Boxes accepted), email address, and the name of a participating client and mail it in a separate envelope with sufficient postage to: EMPATHICA DAILY SWEEPSTAKES, 511 Avenue of the Americas, #40,New York, NY,10011. 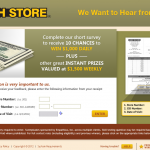 Visit the Cash Store survey official site. Enter your store number, CID number, select Date of Visit from your receipt and click the "enter" button. Select answers to the questions such as "What was the purpose of your visit to this Cash Store location?" based on your visit. Rate statements like "Overall, I was satisfied with my experience at this Cash Store location." based on your visit. Answer the open question about the reason you would recommend this cash store location. Enter your personal contact information such as your name, telephone number, etc. Select the answer to the last question "How did you hear about Cash Store?" then click "Send" to finish the survey. 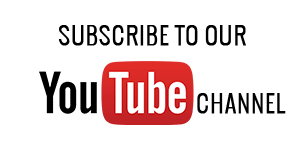 If you have any problem or difficulty to finish Cash Store online customer survey at www.cashstore-survey.com, refer to the following survey video recorded editorial team. You can get step-by-step instructions in the video to finish the survey. This survey is open to legal residents of the 50 states of USA, the district of Columbia, Puerto Rico, Canada, United Kingdom, the Republic of Ireland, Germany, Denmark, Honduras, and the Republic of Korea who are over the age of majority in the USA, Canada and Honduras, over the age of 16 years in the United Kingdom,over the age of 18 years in the Republic of Ireland, Germany and Denmark, and over the age of 20 years in the the Republic of Korea. The Cash Store is a subsidiary of The Cash Store Financial Services. The Cash Store is Canada's leading provider of alternative financial products and services. Cash Store has always tried to make getting money, transferring money, payment protection, phone cards and cheque cashing quick, easy and convenient. You can find a branch near you easily. Go to www.cashstore-survey.com to take the survey. It only takes you a couple of minutes. There are instructions online to help you get things done. Then you will receive 10 chances to win $1000 daily plus other great instant prizes valued at $1500 weekly. The best people to work with when you got a problem. very helpful but the price to pay back is ridiculous. The way the finance charge takes all your payments then the advance amount. I think you should switch that around. I do appreciate the help though. I always enjoy speaking with Amy when I make a payment! The lady at the cash store in Pontiac Illinois named joyce was very helpful in applying for my title loan. dear sir, im claiming the $1,000 survey taken today. im claiming the $1000 survey instant winner, GWY#4900 and also, claiming the gift card at $65,000 pre-paid with options and savings too. please activate pch card #383-14-10-12 confirming and processing codes for prizes. also, I want to be eligible for the instant win $500 at 200 weeks survey ,gwy#4900 entry winner. please keep in touch and write soon and happy holiday, asking for next day mail. also, the survey for apartments.com survey at $65,000 monthly at10 years instant win, entry winner,GWY#4900 sweeps too. thanks, thanks,happy holiday, thanks, iris Campbell. The staff at my location make easy for me to come in to pay because they are all so helpful. was very polite, knowledgeable, and had good time management skills. She help me and three other consutomers who were behind me in a timely manner and never broke a sweat. EXCELLENT CUSTOMER SERVICE!! BOTH GIRLS ARE SO HELPFUL AND ALWAYS MAKE MY VISIT VERY WELCOMED! The cash store#799 CID# 799-1692726 date visited 12/18/2014 Great customer services these guys have loved it, was very helpful. Store#7139 CID # 7139-1667721Date of visits 12/13/14.Very friendly and wonderful staff you have. what is to take place. They are courteous and make you feel welcomed. The cash store in Belton Texas, the ladies there are very professional and friendly . very nice people work at the store in Ponderay, Id. always very friendly and very helpful. Every employee at the store is very friendly and helpful. I was in an out in a flash, service was great an the lady who help me was VERY,helpful she was extremely nice, answer all my questions an all my needs thanks!! The customer service rep. was very knowledgeable and helpful about my concerns. They were so nice to me. They loaned me the cash when I needed it to pay bills and stuff. Brandi is awesome! Thanks for the help. all employees were very helpful everytime ive been to that location. they was very friendly an helpful. I go to the cash store on FM 78 in San Antonio and I am always greeted by Tara she is very helpful and very very nice she is a real joy to do business with. I HAD A GREAT EXPERIENCE WITH MY CUSTOMER SERVICE REPS. The customer service rep. was very knowledgeable and helpful about my concerns. GREAT WAY TO DO BUSINESS LADIES! ALWAYS COURTEOUS,AND EFFICIENT.